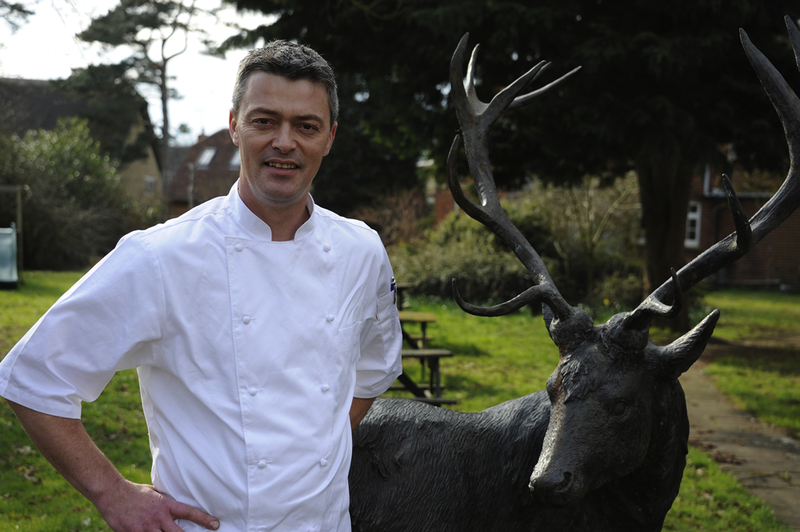 Mark Chandler is a self-taught chef who has been at helm of The White Hart, in Fyfield, Oxfordshire, for 11 years. 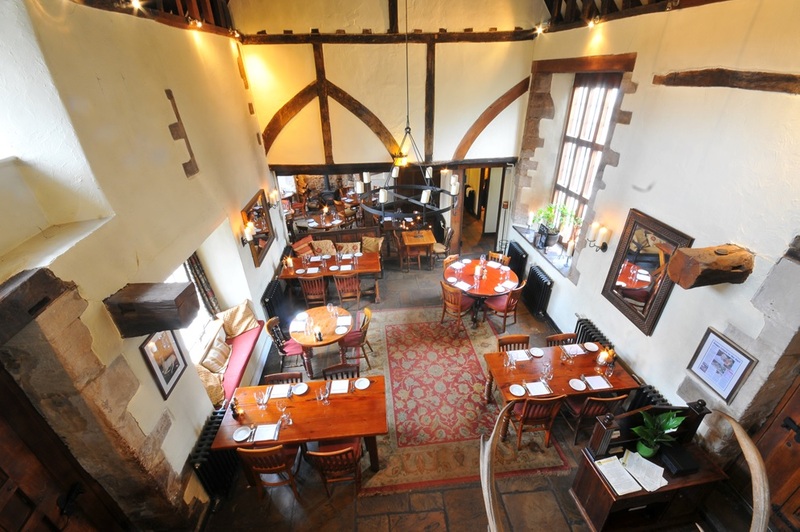 Along with wife Kay, the pair restored an historic grade II listed former chantry house back to its 15th century glory, creating a warm and welcoming hostelry which specialises in freshly-cooked, seasonal British dining and service with a smile. After buying The White Hart and being propelled into the kitchen because he couldn’t find a suitable chef, cooking has become a real passion for this creative all-rounder, who has earned multiple awards including two AA rosettes, as well the coveted title of Restaurant of the Year at the Oxfordshire Restaurant Awards. Cooking for Prince Harry in the restaurant has been another highlight. 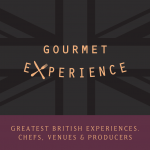 Mark’s own cooking style primarily reflects modern British cuisine, and he finds that his food is at its best during the autumn months, when his kitchen gardens are in full swing and he can fill the restaurant menu with his own produce, picked mere minutes before being cooked. The White Hart has been described as a ‘foodie’s paradise’ by the Oxford Times and named as one of the top 50 great pubs in England by the Telegraph, and is a favourite with locals and visitors from far and wide. Located in the picturesque village of Fyfield, The White Hart boasts a breathtaking setting, from the soaring eaves of the great hall and minstrel’s gallery to the cosy bar with roaring fire in winter months and terrace with aromatic herb gardens in summer. Bring a pan of water to a low simmer and add the vinegar. Using a spoon, stir in a circular motion to create a slow “whirlpool”. Gently crack an egg into the middle of the whirlpool. Cook gently for 3-4 minutes (depending on size of egg). Remove and refresh in iced water. Repeat with 3 more eggs. Remove the eggs from the iced water and gently pat dry. Pané the eggs by rolling them in flour, then dipping them in the beaten egg and finally rolling them in the breadcrumbs. It is important to ensure the eggs are completely covered with breadcrumbs and there are no gaps. Chill until required (they can be made up to one day in advance). To serve, place in a deep fat fryer for 1-2 minutes at 180C or until golden. Place the butter in a small pan over a medium heat, until the butter melts and starts to foam. Remove from the heat. Bring a pan with a couple of centimetres of water to a simmer. In a bowl that fits the pan, combine the egg yolks, lemon juice and salt. Place the bowl over the pan and whisk the yolks until you have a consistency like double cream. Take great care with the temperature of the water – too hot and you may curdle the eggs, too cool and they will not thicken and may split! Add the melted butter a little at a time to begin with, whisking constantly, until all has been incorporated, leaving the milky residue in the pan. Add 1 tbsp of cold water. Add a few drops of truffle oil or freshly grated truffle. Check for seasoning. Best served immediately (or you can keep it warm for up to 30 minutes). Cut the woody bases from the asparagus spears and peel the skin from the bottom half. Cook in boiling, salted water for 1 ½ minutes and drain. We then chargrill briefly to give a lovely rich flavour but this is optional. Place 6 asparagus spears on each plate. 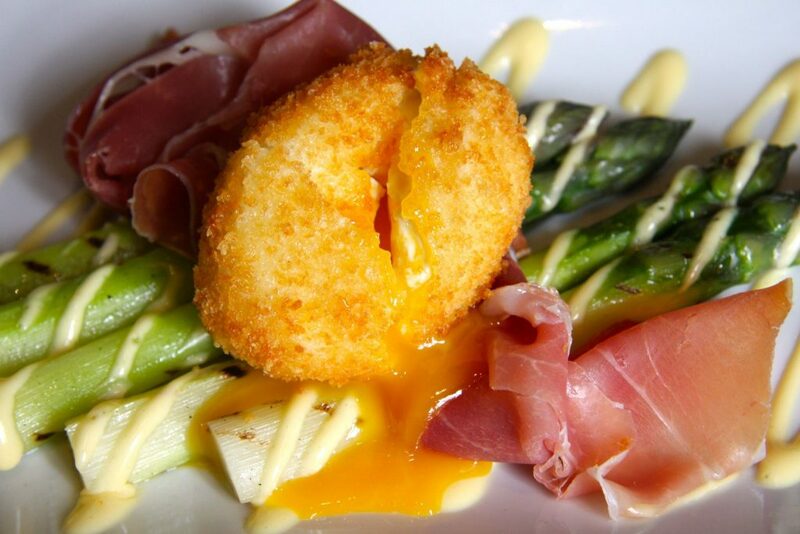 Take a slice of Parma Ham and place it on the asparagus. Place the egg onto the ham and spoon the sauce over and around. Delicious! 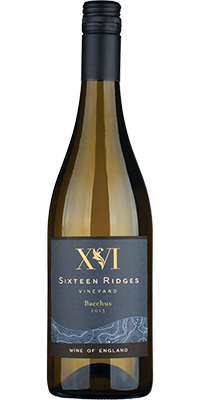 English Wine Week, ideal match to asparagus: Sixteen Ridges Bacchus.